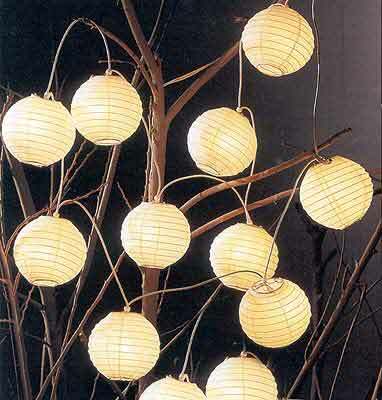 12 4"diameter Round shaped party string light set comes in 11ft cord with end-to-end plug. Include extra lantern, bulbs and fuse. *Our exclusive Multi set contents 12 individual colors.